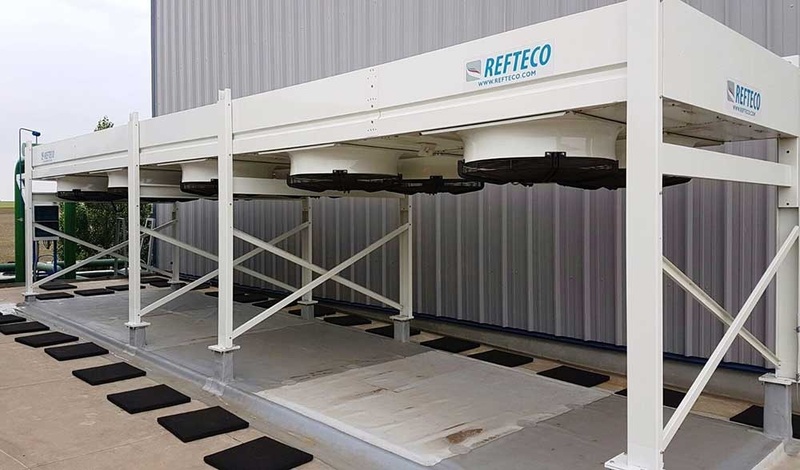 For this power station cooling, Refteco has delivered a liquid cooler RPLD series for heat dissipation of a power generator. This liquid cooler is designed for cooling of high temperature fluids ed it’s equipped with the well tested Refteco suspending tubes system that make sure it withstands a extreme temperature variations. This radiator is cooling a water flow rate of 100 m3/h from 90 to 60°C, pressure drop lower than 65 kPa and noise pressure level not exceed 65 dB(A) at 10 m.